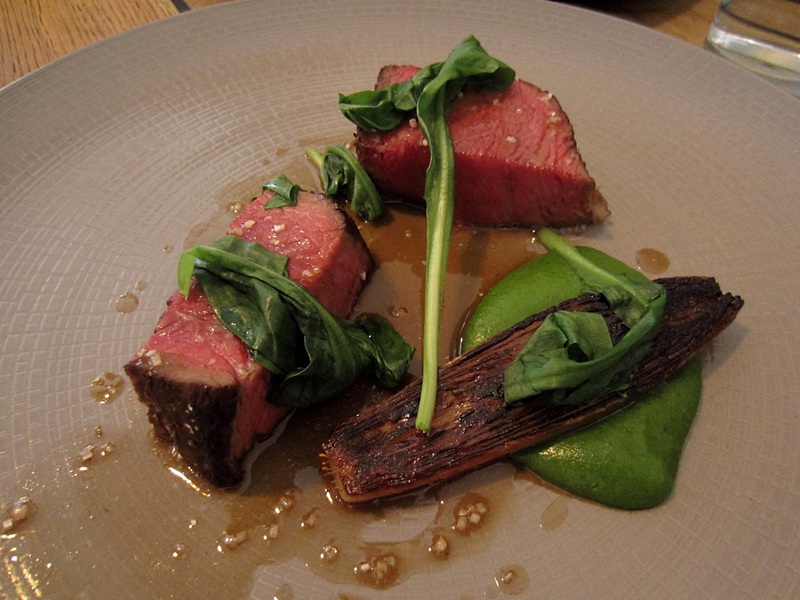 I searched high and low to pick my London restaurants. When I saw an upcoming restaurant, Anglo’s pictures, I was intrigued. I kept my eyes on their opening and read reviews and made my reservation on Opentable. I first tried for dinner on a Saturday night but had no luck and all their lunches were for an oddly late 3:00 PM. I made my reservation for our arrival day thinking that if we even have any delays, we will have plenty of time for our lunch reservation. We got to our hotel around noon and since our room was not ready we walked around a bit. I checked to see if I could move our reservation up a bit but it did not show any time slots open. Around 2:30 I suggested that we walk to the restaurant early and see if they will serve us. Once we got there to our shock and surprise the server told us that their kitchen was closed and they tried to call us earlier. I told her that we just landed and tried to move up our reservation with no luck. She said she will check in with the chef and luckily we were informed that they would be able to serve us. The server was helpful and the chef himself served us one of the dishes and asked us about our flight. The food was very good and we enjoyed some very tasty rare herbs and sea veggies. No wonder they compare his food to Noma. 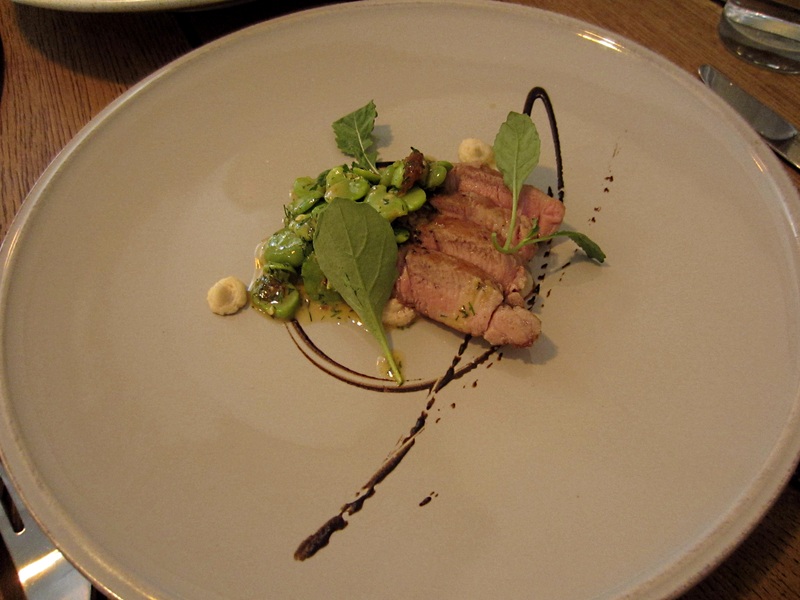 A very flavorful dish and very springy with the fava beans and black garlic provided a touch of sweetness. 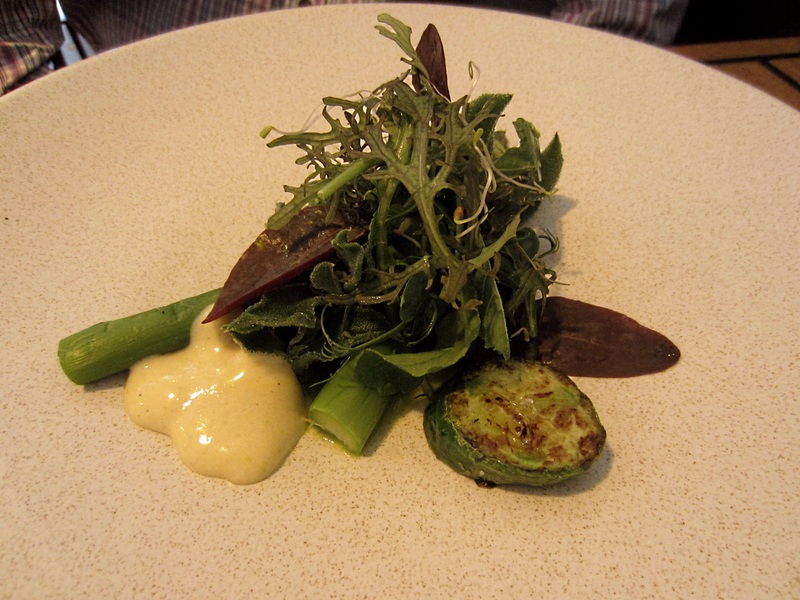 A very grassy and delicious asparagus dish. 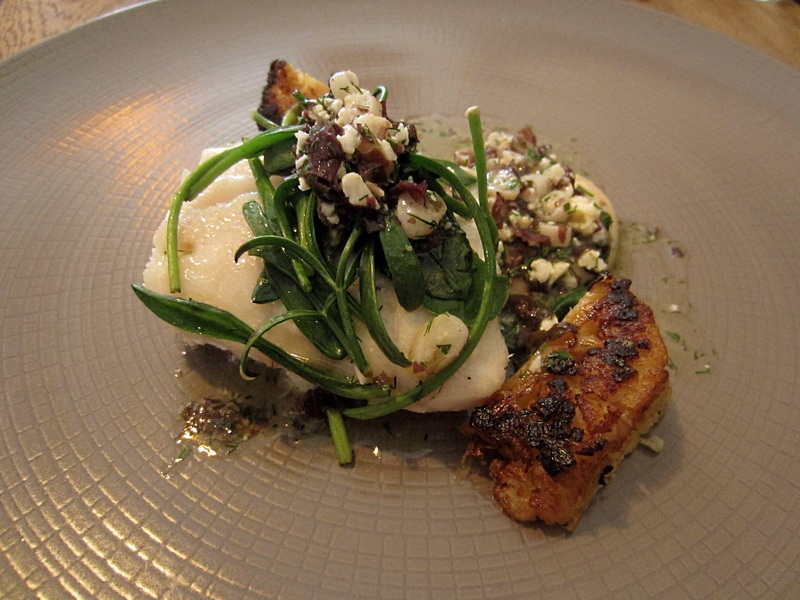 The greens were very fresh and the smoked mousseline was addictive. 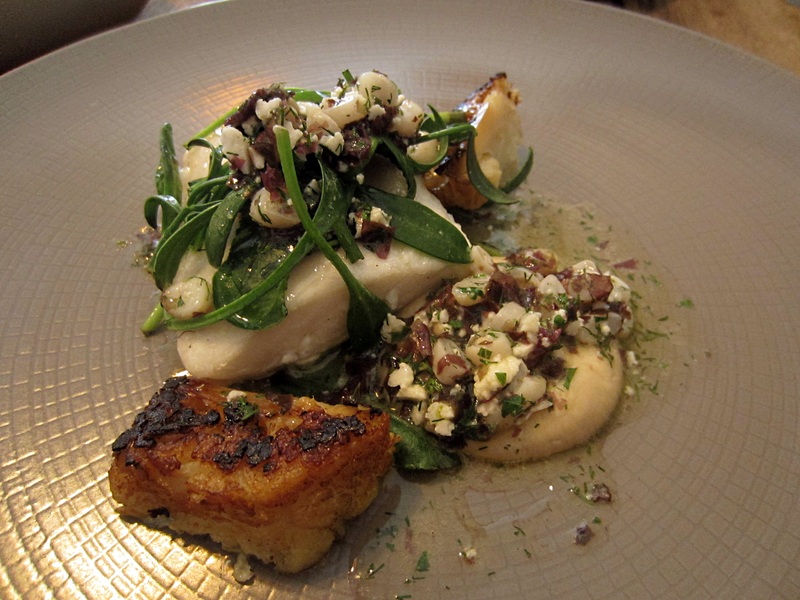 The fish was pretty good but the sea fennel was the highlight. The cauliflower provided some earthiness and fiber neccessary for a traveler. The razor clam was a treat. When our server asked us if we wanted some Jersey royals, we asked what they were and she tried to explain it to us and at the end she said, “chips”. She could have simply said potatoes. 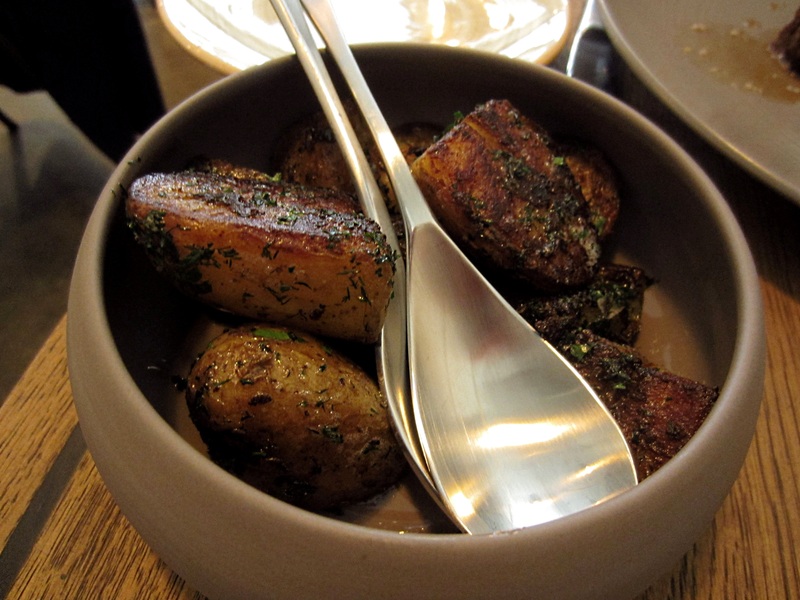 They were some of the best potatoes we have ever had and they were seasoned beautifully. I believe the beef was aged for 28 days. Even though it was cooked kind of rare it was so tender and flavorful. My favorite dessert of the whole trip. Not only it was beautiful to look at, it was even tastier than it looked. 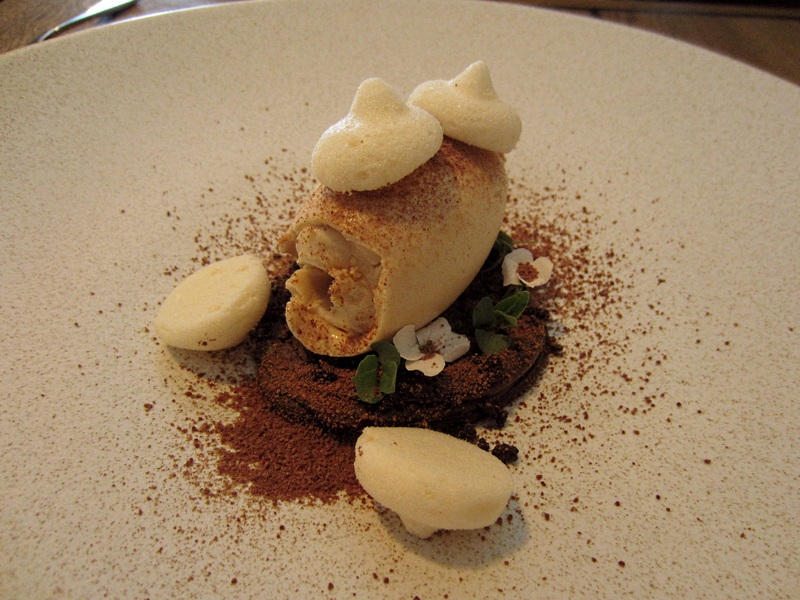 Dark chocolate with Earl Grey ice cream and tart, delicious bergamot meringues. I will never forget this lovely dessert. The chef sent this extra dessert and that was such a nice gesture. 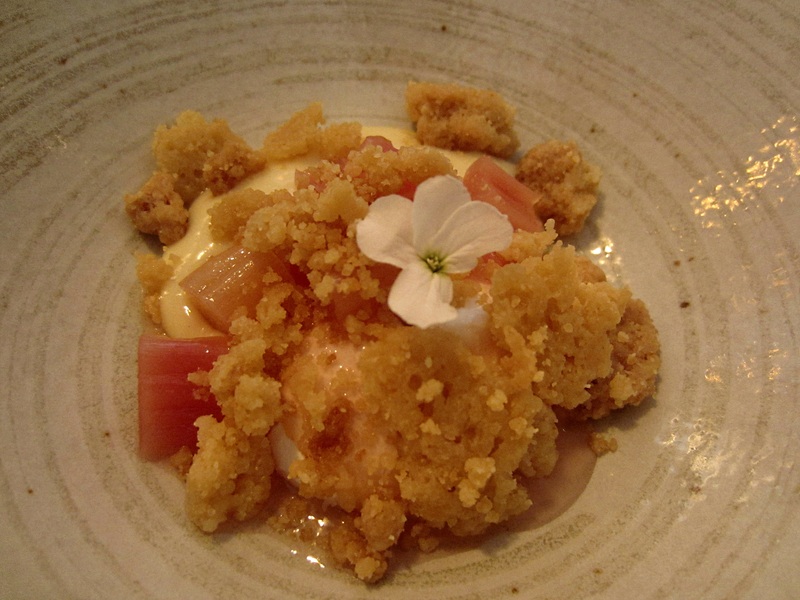 It was more a classic English dessert and a little on the sweet side but a lovely end to a wonderful first day lunch.